This new women’s Rogue One Jyn Erso jacket is now available exclusively at ThinkGeek. 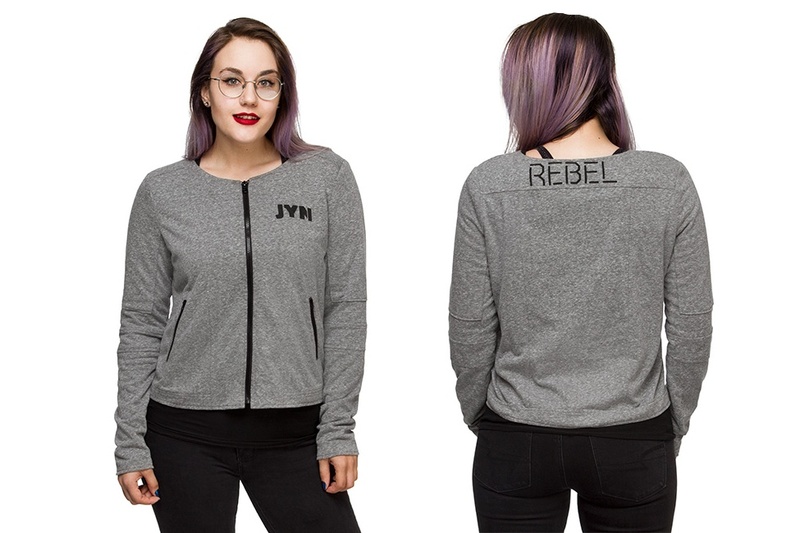 The grey heather jacket features the text ‘Jyn’ printed in black on the upper left chest, and the text ‘Rebel’ is printed in black on the back underneath the neckline. 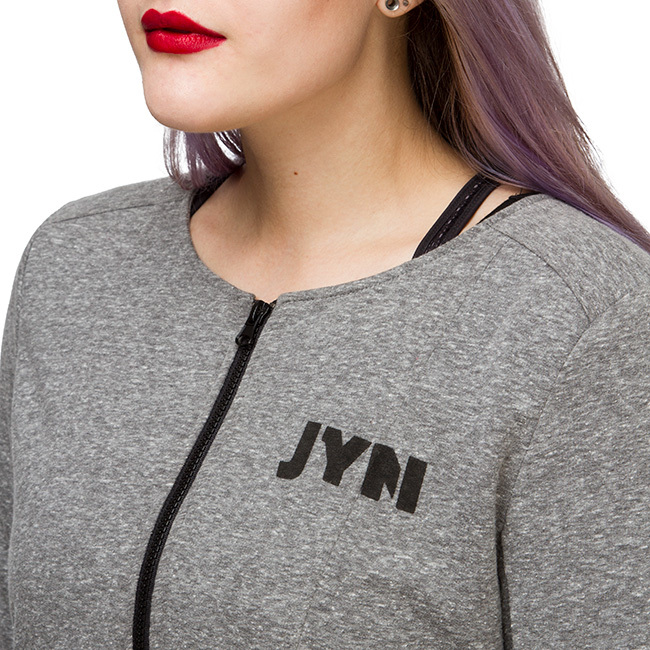 The jacket closes with a contrasting black zipper, and there are 2 front pockets. 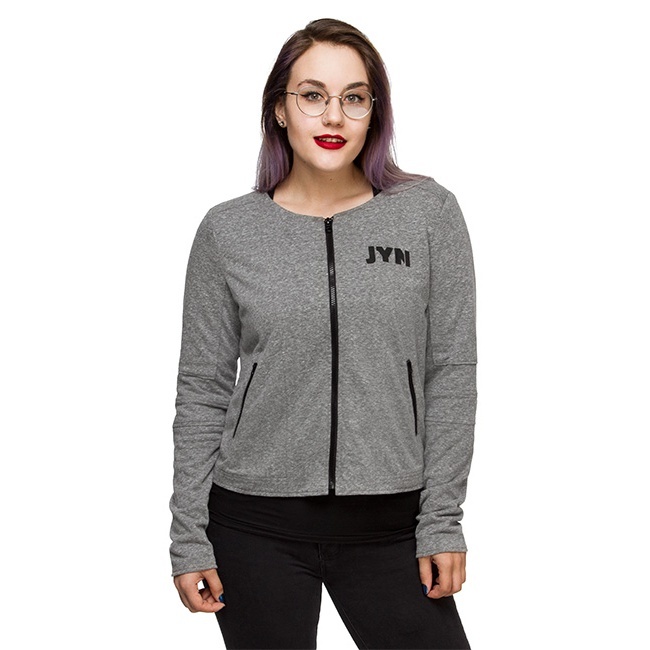 If you’re busy saving the Rebellion, saving the dream, this ThinkGeek-exclusive heathered Rogue One Jyn Rebel Ladies’ Jacket in grey with zip front and zippered front pockets will be a perfect addition to your wardrobe. 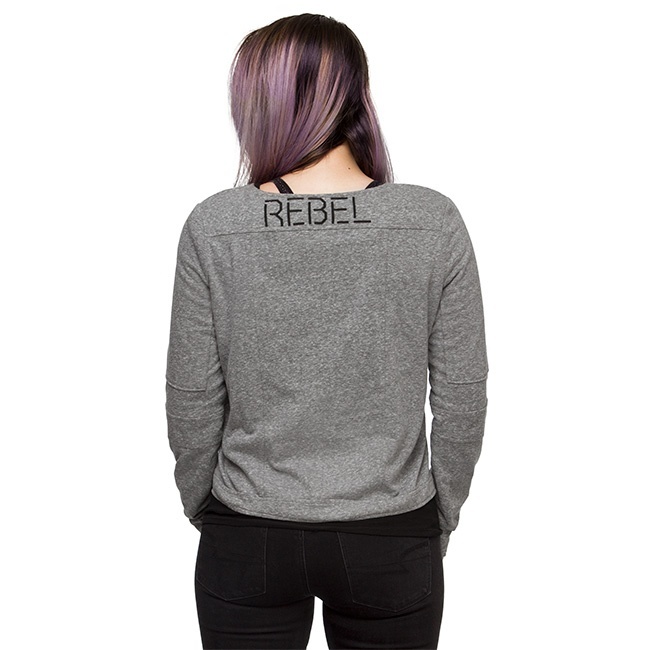 “Jyn” is printed on the left front breast area, and “REBEL” is printed across the yoke on the back. This theming will help you focus while you’re keeping the hope alive and will give you the confidence to be the star of your own life while making a difference for others. Just maybe don’t take any vacations on islands with palm trees, k? 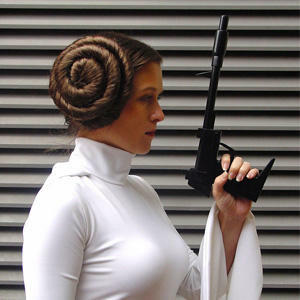 Available in sizes XS to 3X, the jacket is priced at US$59.99 each – ThinkGeek can ship internationally.